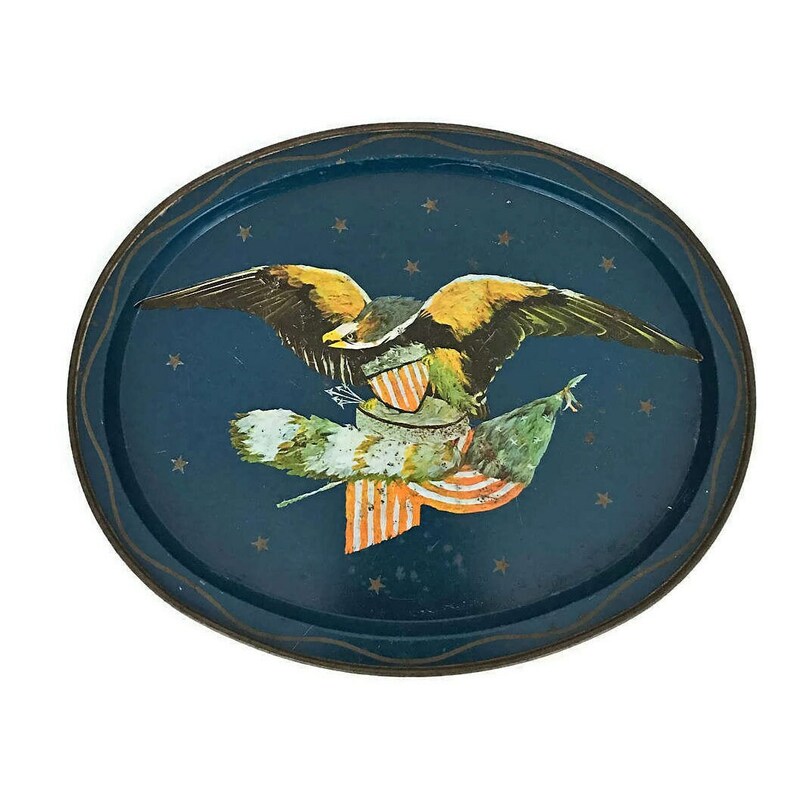 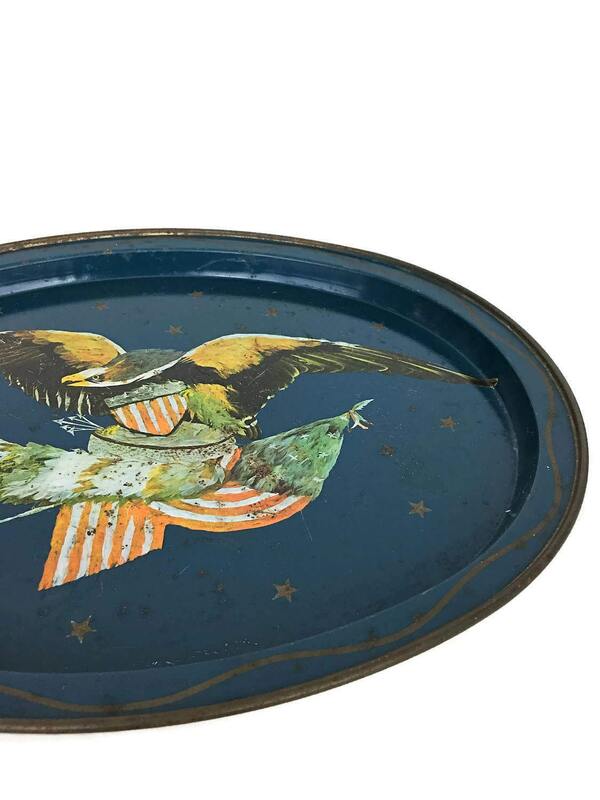 Great vintage Americana metal tray with flag and eagle. 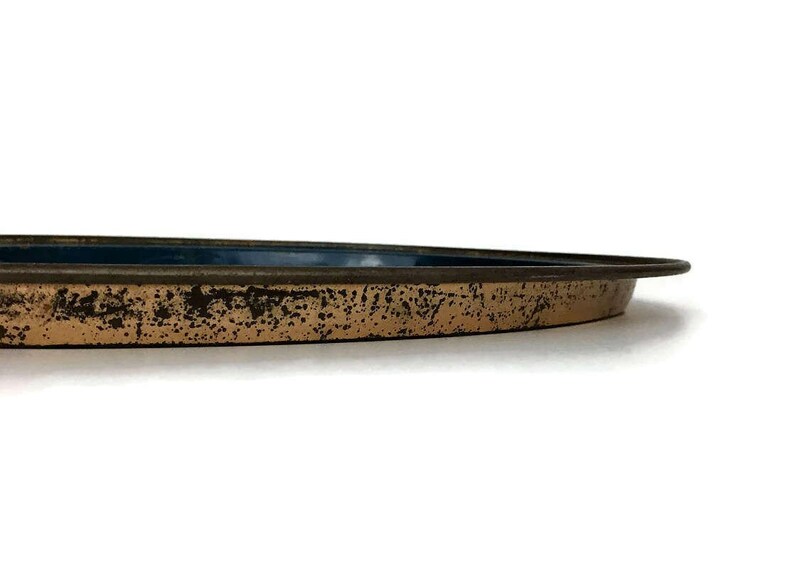 It is a beautiful teal blue color with some rusting and age. 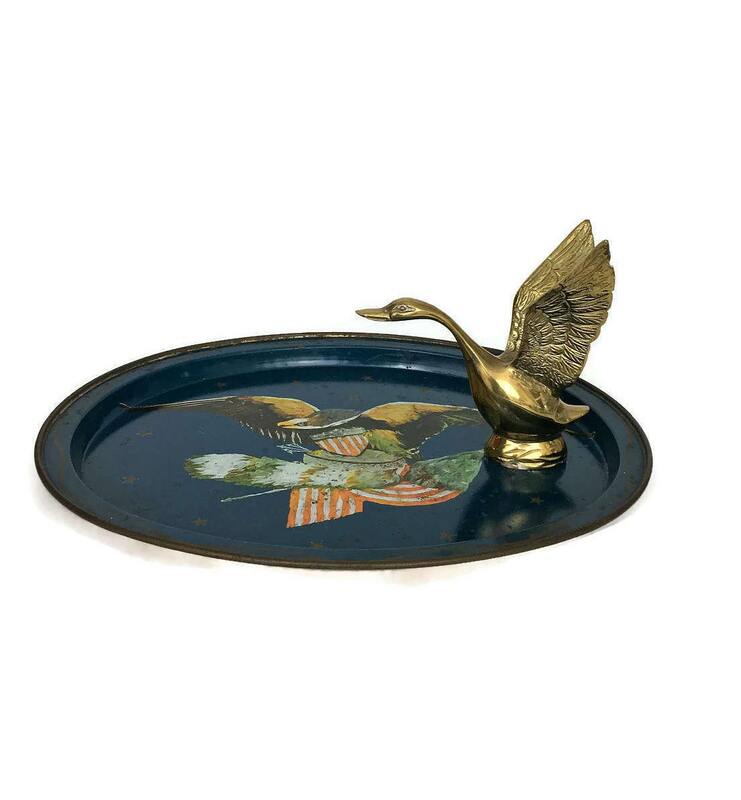 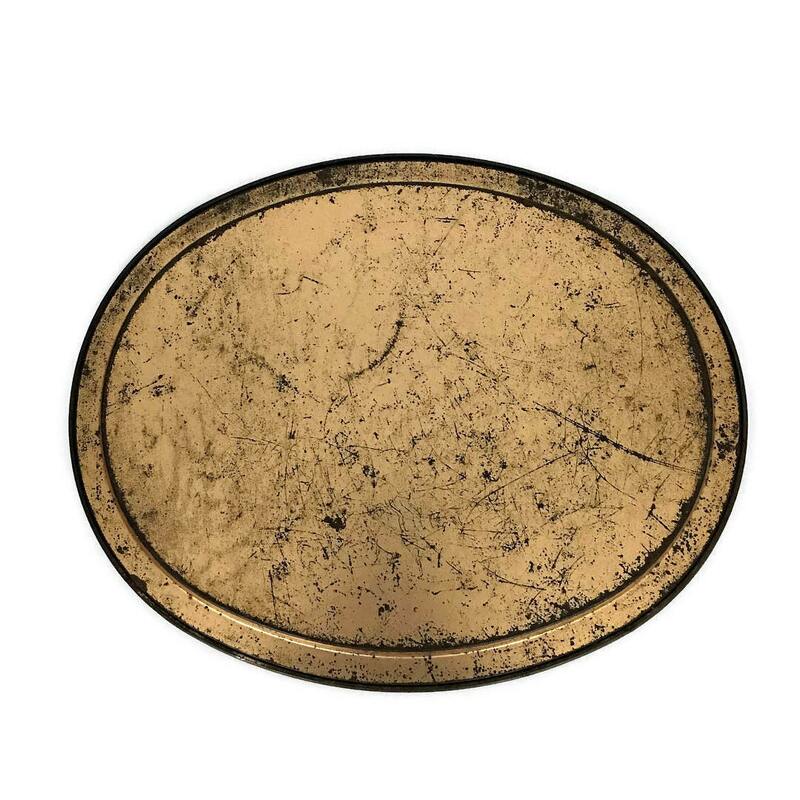 Perfect for the bar, entry or dressing table!